You can get Glow and skin freshness at home with just three Ingredients. Combination of all three ingredients will give you soft and radiant skin. Mash strawberry and mix with other ingredients. Apply on your face.. Watch this video for demonstration. Excellent Skin Cleanser: Strawberry has great cleansing properties. Strawberry extracts are often used as an ingredient in skin cleansers, face washes, refreshing bubble baths and rejuvenating facemasks as they contain vitamin C, salicylic acid, antioxidants and exfoliants. Improves Complexion: Strawberry juice has skin lightening properties. It is effective in removing age spots and freckles. Skin Toner: Strawberry can be used as a skin toner. Grind the strawberries to extract the juice. Mix two teaspoons of strawberry juice with 50 ml of rose water and refrigerate it. You can apply it instead of your regular skin toner to achieve wrinkle free, blemish free and younger looking skin. Protection from Ultraviolet Radiation: Strawberry contains ellagic acid which, when applied topically protects the skin against the sun’s harmful ultraviolet rays, which are primarily responsible for skin ageing. Anti-ageing Properties: Vitamin C and other antioxidants present in strawberries prevent damage caused by free radicals to the skin and body. Free radicals occur during the process of transformation of food into energy. Free radicals accelerate the ageing process and vitamin C is effective in blocking the damage caused by free radicals. Treatment of Acne: Vitamin C, Alpha Hydroxy Acids (AHAs), salicylic acid and flavonoids in strawberries help in clearing acne and reducing oil. Skin Repair: Vitamin C in strawberries enables the body to grow and repair its tissues as it is involved in making collagen, an important protein needed by the skin and other parts of the body and helps heal wounds more quickly. Effective Foot Scrub: Strawberries can be effective in giving you soft and crack free feet. You can prepare a strawberry foot scrub by mashing 6 to 8 strawberries and mixing them with few drops of glycerin and grounded oats. Soak your feet in warm water for 10 minutes. 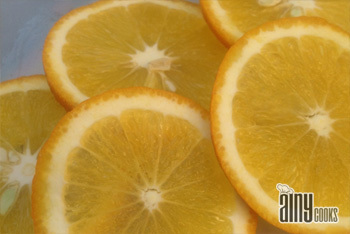 After taking them out, scrub gently with this mixture to exfoliate dead cells and rough skin. Wash off with clean cold water and moisturize your feet with any cold cream or foot cream. 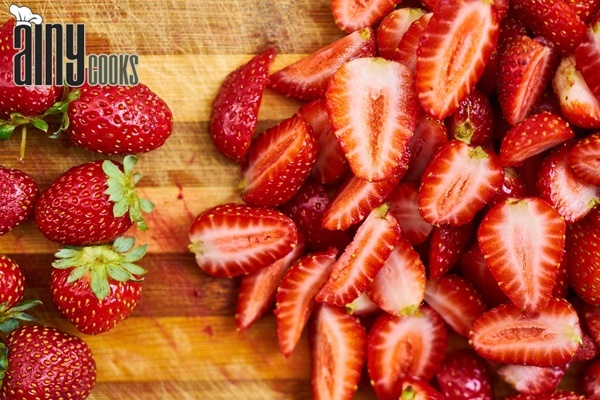 Promotes Silky and Shiny Hair: Strawberries can add extra shine to your hair. For this purpose, mash 7 to 8 ripe strawberries and add 1 tablespoon of mayonnaise. Mix it with the strawberry mash to make a smooth paste. Apply it over your hair and scalp and cover it with shower cap for at least 15 to 20 minutes. Rinse your hair and shampoo as usual. This will act as a natural conditioner to give you instant natural shiny hair. Strawberries for the Skin: Strawberries have Vitamin C which helps to keep the skin’s elasticity and helps regenerate new cells. It keeps skin young. Also the Ellagic acid in strawberries helps in keeping wrinkles away.